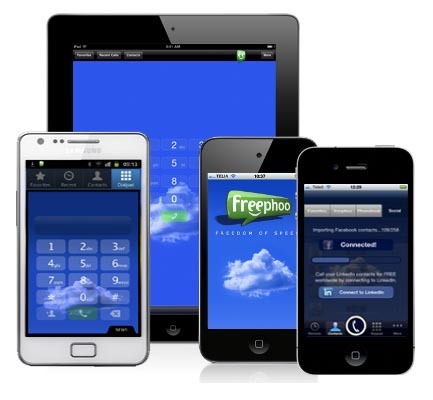 FreePhoo App for iPad : How to Install FreePhoo Application on iPad | Free Pc to Phone Calls, Free Voip Calls to India International ! Mobile voip apps have got very popular and lot of people have started using voip applications on their smartphones. If you are in India, USA, Canada, Pakistan or any part of the world, as long as you are connected to internet (using internet on mobile), you can use voip mobile apps and make free calls! FreePhoo voip application came into market just few months back, and it has been in news since then. Its a multi platform application to make phone calls. It is much similar to Viber application. Many people have heard about this application, many have seen this app in Top Charts of iPad. However many don't actually know about this cool application. We have already reviewed FreePhoo application for iPad, however we have not actually provided any tutorial for it. So, finally we decided to try FreePhoo application ourself and post user reviews and also post a tutorial about how to install this app on iPad. FreePhoo allows people to call other FreePhoo users for free. So, if you and your friend are both using FreePhoo application then you can talk to each other for free. FreePhoo is available for iPad as free download : Its in top applications of iPad. Installing it on iPad can effectively convert your iPad to iPhone. Free Calls only between FreePhoo users, if you want to call normal mobile then you have to shell out some money. You need to visit Apple Store and search for "FreePhoo" app in it. Registering with the app is simple. It will send SMS to your MOBILE for verification. I have more than 1000 contacts. The problem which I faced is "How do we know which of my friends are also having FreePhoo". It makes call to any mobile irrespective that person is online or not. Well, this is bad. I would like to call only friends which are using FreePhoo and not all my friends. I don't want preminum plan, as I am satisfied only with free calls. How to know which friends are currently online. As like Skype! Overall, the application is a good one and must have for iPad users.